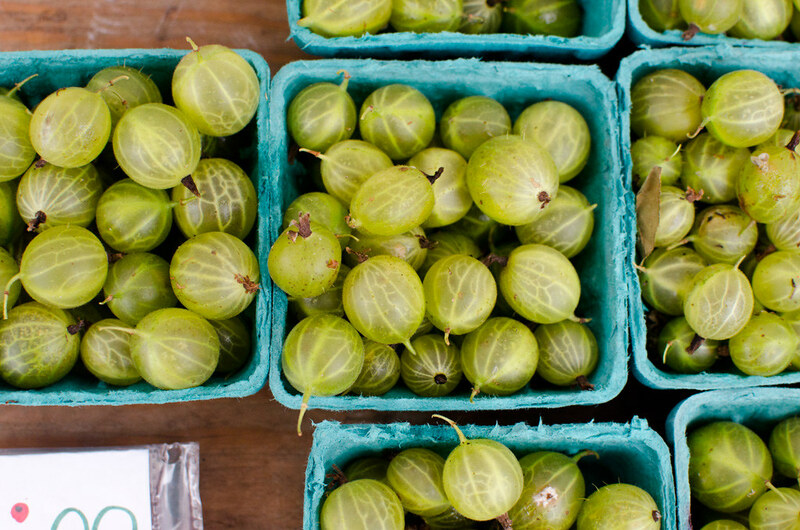 Biting into a gooseberry is almost like biting into a tomato — there are tiny edible seeds suspended in a sweet, acidic gel. Why, then, do I like gooseberries but not tomatoes? Perhaps because the gooseberry is related, botanically speaking, to the tomatillo and not the tomato. In any case I don’t think I’ve ever seen them at the Grand Army Plaza Greenmarket before today. To my delight they affixed a small piece of netting to the top of the container so I could take it to go without gooseberries rolling all over the place.